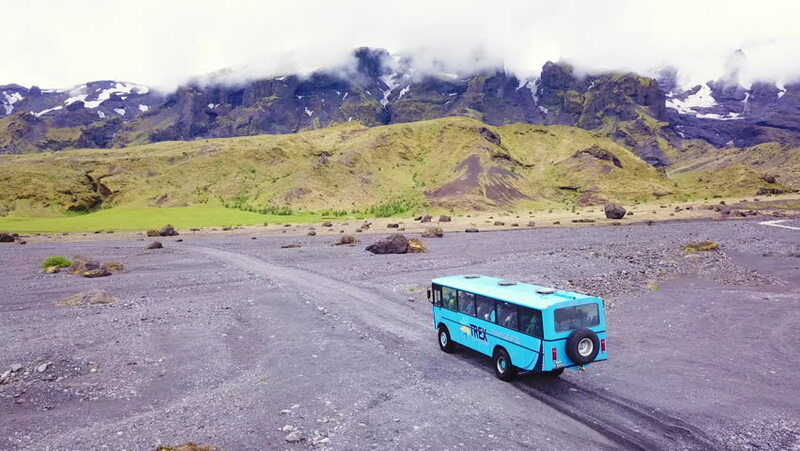 ICELAND - CIRCA 2018 - Aerial over a bus driving near Thorsmork in the highlands of Iceland. 4k00:34ICELAND - CIRCA 2018 - Aerial over a bus driving through a river in the highlands of Iceland. hd00:07Saudi Arabia - circa 2013 - Side view of a Saudi man in a burgundy suv driving on sand in the desert.